i suffer from anxiety, I have done for years now even before my marriage ended probably caused by a mixture of a stress both in work and home life and then the shock and trauma of finding out the person you loved so much and trusted had cheated. Life will never be the same but I have been thinking tonight on just how much my own brain is causing me to have these horrible anxiety attacks and how I can try and help myself to stop them. I've realised that I am a very negative thinker and that I catastrophize the future by thinking of all the bad scenarios that are going to happen and how awful things are going to be. Which in turn makes me frightened and anxious. These fears then develope into more fears and so it goes on and on. I wish I was a person that was much more carefree in life, that I didn't care as much but I do, I'm a people pleaser and I worry about what people think. Negative thinking is such a debilitating thing to do and so many of us do it . I was reading earlier on here about someone who's realationship has ended and how they don't feel they will ever find someone to trust again... Negative thoughts, I was also reading about someone else's fears that they will always be single and lonely... Again negative thinking and just how much happier we would all be if we could all live in the moment, forget the past and have positive thought of our future. Easier said than done I know but I have deceided enough is enough and I have got to stop these awful thoughts from totally wrecking my future. I've found some great videos on YouTube about mindfulness and meditation and I'm going to start practising twice a day and see how I get on. I hope I havnt rambled on too much but apparently journaling is also a great way of releasing anxiety so I may do some of that too. If anyone has any tips let me know. Well done to you for getting to this point of realisation. Eastern cultures have know fro centuries that mental health is so very related to overall wellbeing and physical health. We tend to pay scant attention in the West. Each and everyone of us is wired to maintain a background level of anxiety because we were once hunted down by the sabre tooth tiger etc! For some of us the thought patterns and lead of an over anxious state of being. Training ourselves for our own mental health & wellbeing is a lifelong study. Your going down this road and I don't believe its whacky at all anymore. One of the most connected and moving experiences I ever had was in a Buddhist temple in China !! More on that later...! I used to be absolutely rigid with anxiety all the time so I know what you mean. A horrible spiral, and washing machine brain, always fearful of everything large and small. What saved me from a life of misery was the Alexander Technique. I still have things wrong with me, or should we say things I would like to do differently, but I am so lighthearted these days that I don't even recognise myself. 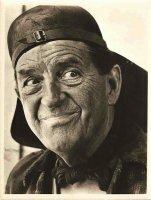 Alexander Technique has existed for over 100 years and is used extensively by actors and musicians. Also for back pain, RSI etc. People tend to think that it is about posture, in fact it is embodied mindfulness. I swear by it and genuinely believe it saved my life. I even trained and am now after three years full time study a qualified teacher. Honestly if you can find a teacher near you (or ideally try a couple to find someone you like to work with) and have a few lessons I think you won't regret it. I overturned a lifetime's habit of worry that I thought was 'just the way I am'. You don't need to stay a worrier. Good luck. I suffer with terrible anxiety from the moment i wake up to the moment i go to bed...the only respite i seem to get is when i'm sleeping. It is very debilitating and exhausting...i constantly have this sense of impending doom and I know it is as a result of the X's affair(s) leading to the marriage break down. I know that it is my mind telling me all sorts of things that may or may not happen, telling me that i'm worthless, ugly, unlovable. The mind is a very powerful tool which at times can cause a lot of harm, all the joy has gone from my life, who knows perhaps one day i can regain this joy again. I'm still waiting for the good stuff! movingon6 - don't wait. I waited. Ended up wishing my life away, living in the future and the past. Build in some enjoyment now, realise that you deserve it and seek it out. It won't come to you, you need to meet it half way!